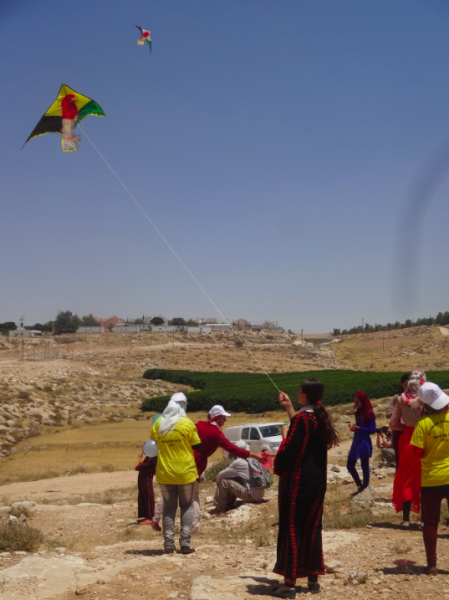 Today in the village of At Tuwani, villages and popular committees in the South Hebron Hills and international activists, came together to celebrate the seventh festival of non-violent resistance in this area of the West Bank, and the end of a local children’s summer camp. Each year a summer camp is held in the South Hebron Hills for the children, with many different activities. 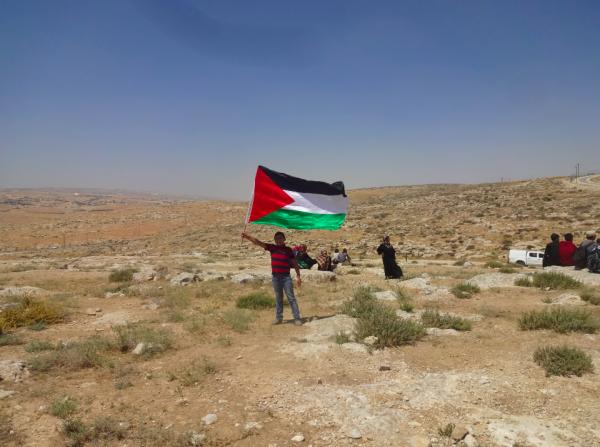 “This is the moment to give each other strength, to continue to fight without surrender to violence”, said Hafez Huraini, member of the Popular Resistance Committee of South Hebron Hills. During the day speeches were held by the Popular Committee in the South Hebron Hills, the Mayor of Yatta, the Governor of Hebron, and international organisations such as ISM, CPT [Christian Peacemaker Team], and Operation Dove. Throughout the day the children showed the crowds what they had been practicing during the summer camp, performing dabke [a Palestinian dance], singing and theater shows. Discussions were also held in the area about experiences of non-violent resistance. The festival then turned into a protest, moving to a hill in front of the illegal settlement outpost of Havat Ma’on. The children were flying kites and brought balloons, to send a colorful message of peace and justice. The Israeli military and Israeli police stood in front of the outpost and cut off the road. The protest was peaceful and calm, with no violence or arrests. Settlers in the area often harass villagers from the South Hebron Hills. The settlers are living in the illegal settlements of Suseya, Ma’on, Metsadot Yehuda-Beit Yair, and Karmel. As well as the outposts of Hill 833 (Havat Ma’on), Avigayil, Mitzpe Yair-Magen David, and Lucifer Farm (Yair Farm). 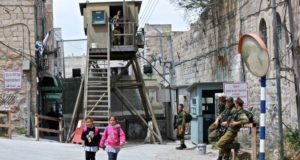 The settlers living in this area are highly nationalistic and considered to be some of the most radical settlers in the occupied Palestinian West Bank. The Palestinians in the South Hebron Hills are often prevented from accessing their fields to pick wheat, lentils, and olives. Settlers also regularly burn the Palestinians harvests and fields. The settlers have also destroyed Palestinian caves and poured poison inside water tanks. In 1999 residents of this area formed the South Hebron Hills popular committee and began to non-violently resist against the Israeli military. The resistance is daily, consisting of rebuilding demolished homes, continuing to farm in spite of settler violence, and replanting destroyed olive trees. Several Israeli and international organisations support the committee and the people of this area, primarily through accompaniment work and legal aid. During the last several years many Palestinian families who left the area decided to return to their village.